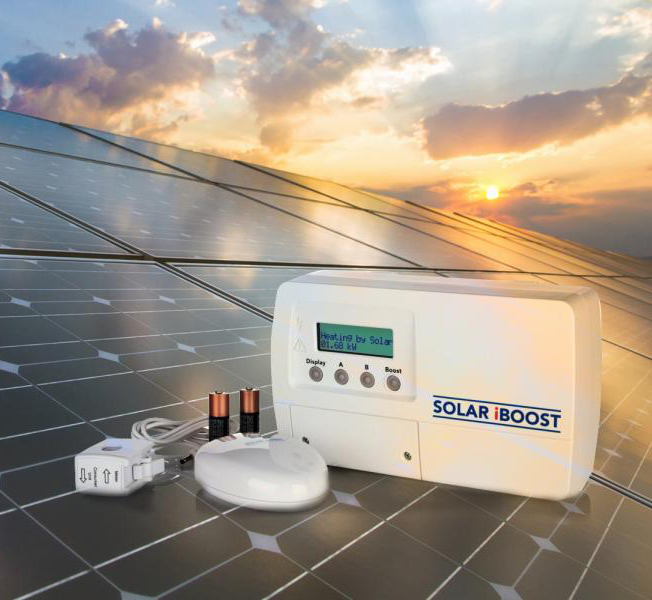 Solar iBoost diverts excess power normally destined to the grid, to your existing immersion element, essentially giving you free hot water from your Solar PV array. But don’t worry, having this accessory installed won’t affect your Feed in Tariff. The Solar iBoost+ enables you to automatically consume the excess energy generated at your home so you can just sit back and enjoy the extra savings! – Cut the cost of water heating in your home. – Reduce the use of your boiler. – Maximise the use of the free solar energy generated at your property. If you have invested in Solar PV for your home then you will already be aware that there are periods of “export,” when you can’t consume all the energy being generated by the array. This energy normally flows back to the grid seamlessly so you may not even be aware of it. If your home has hot water storage with an immersion heater then Solar iBoost+ can be installed and start saving you more money on heating bills. Installation can take place at the same time that we come to install your Solar panels, or we can come back and retrofit it later.